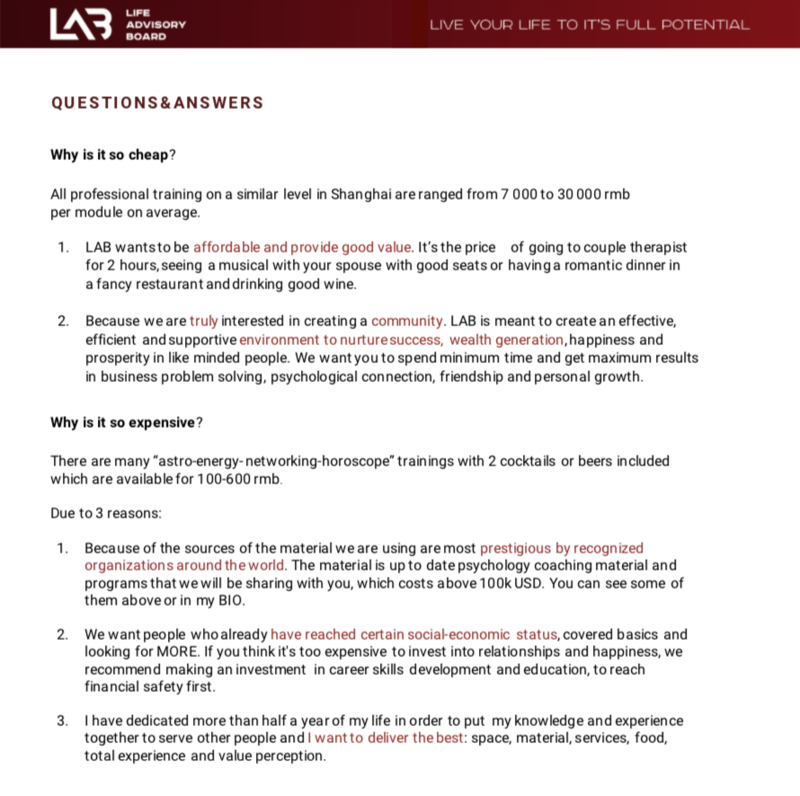 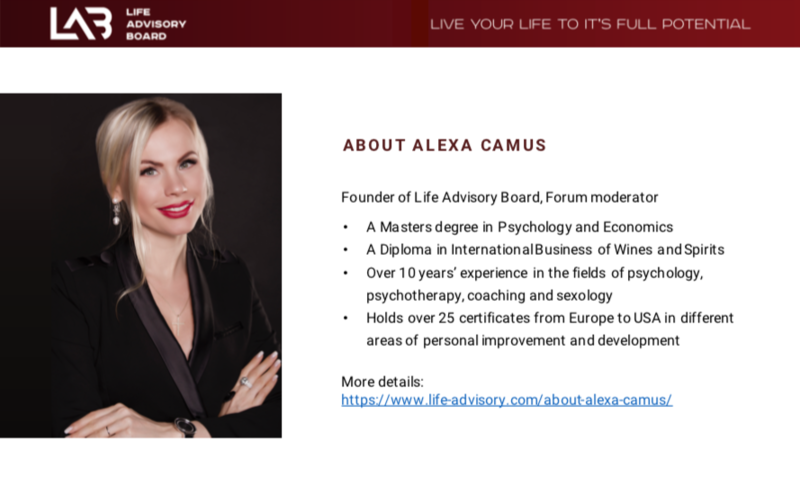 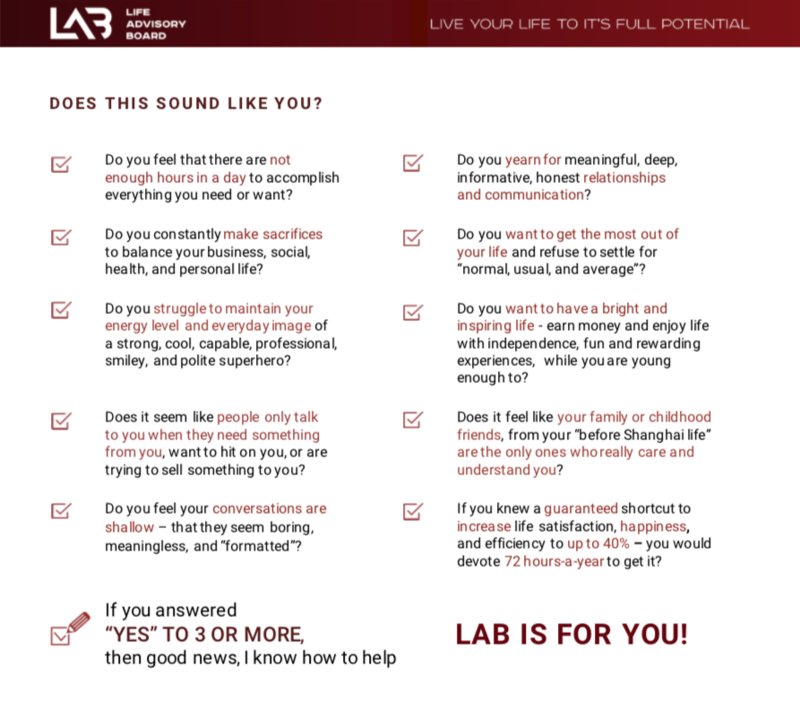 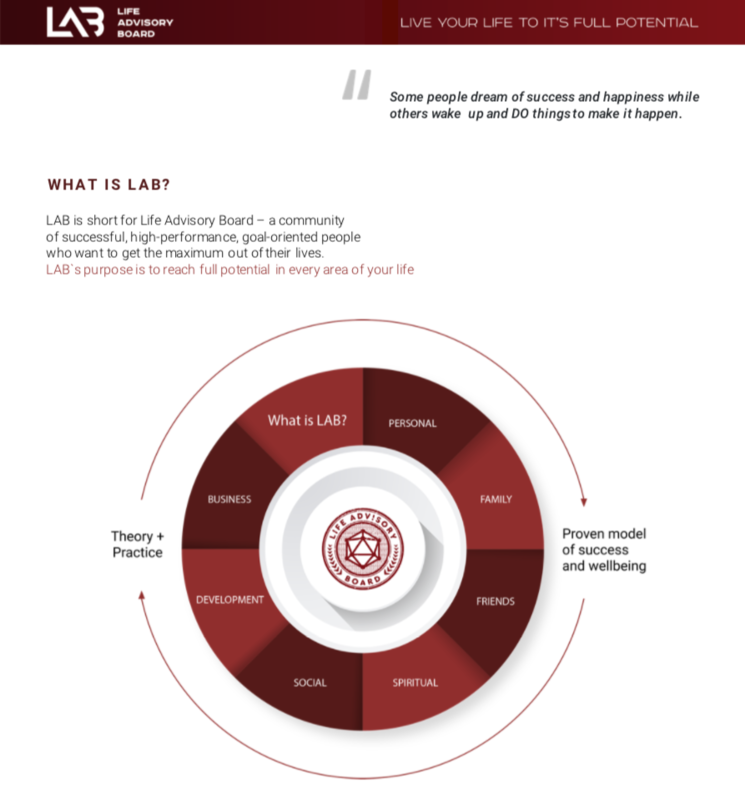 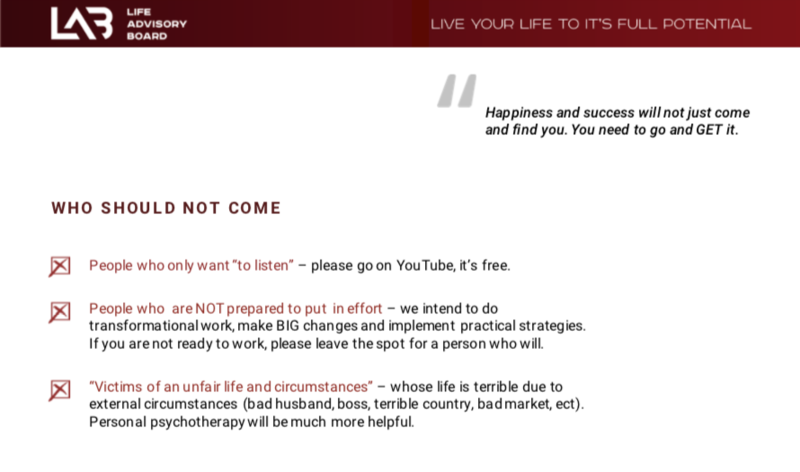 The Life Advisory Board (LAB) has organized a long-lasting project called "LAB Forum," designed to help teach you how to get the most out of your life. 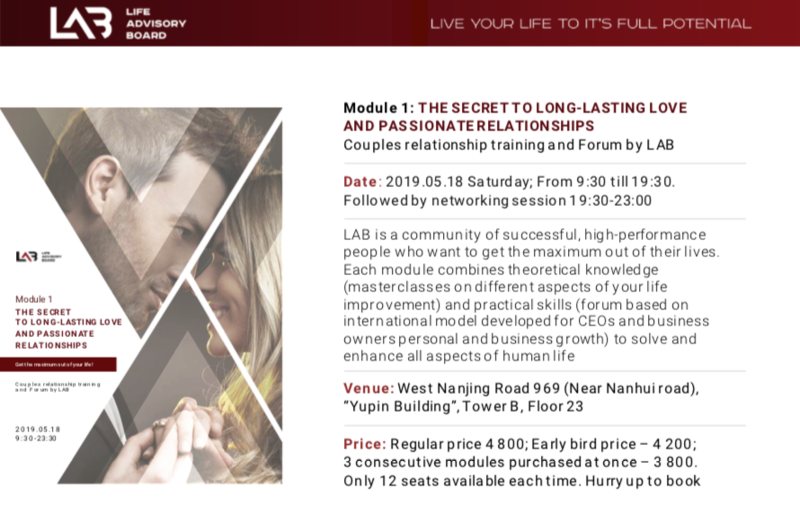 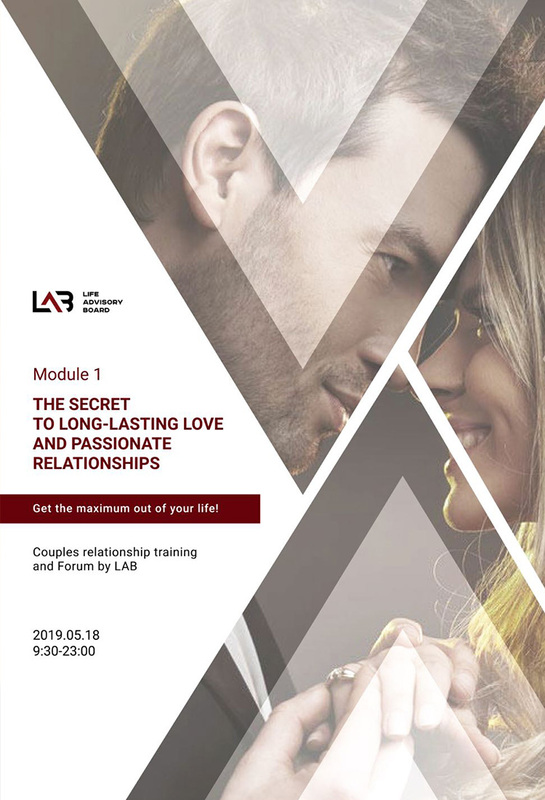 For their first module, they'll be explaining why marriages fail, what determines marital happiness, why passion dies in long-term married couples and how to avoid it, three scientific theories on how to build long-lasting and seven principles which guarantee marital satisfaction. 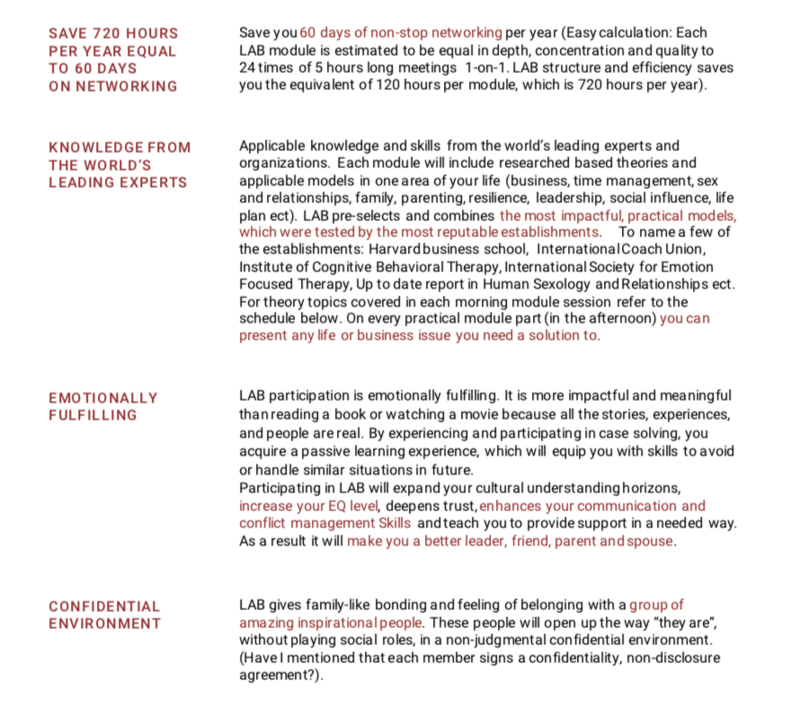 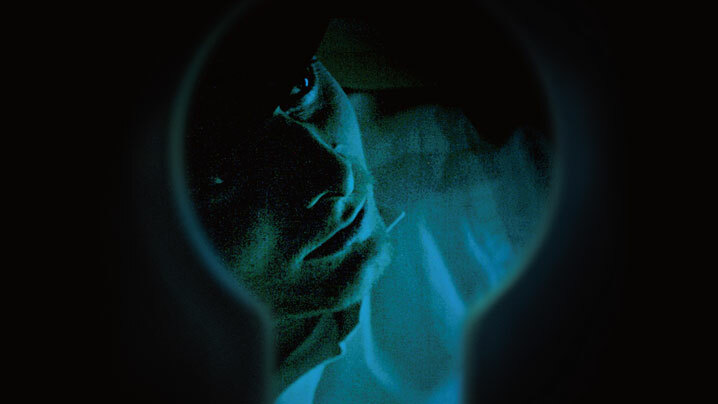 It includes a couple assessment test, and a "Take Home" game which will "guarantee the improved deepness of your connection." 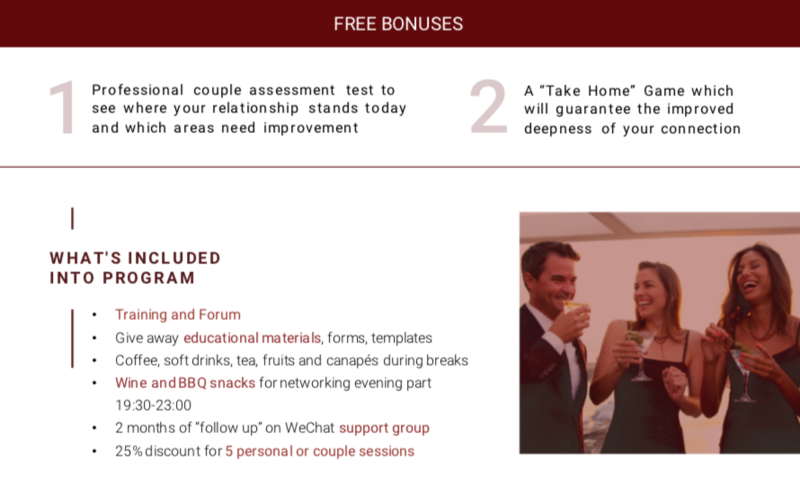 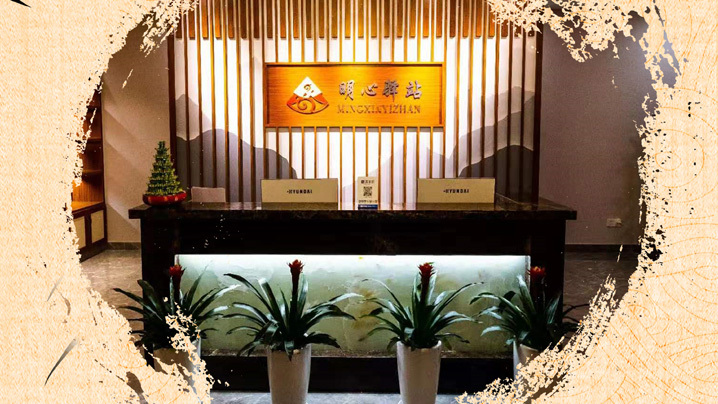 The program includes Training and Forum, coffee, soft drinks, tea, fruits and canapes during breaks, wine and BBQ snacks during the networking portion (7.30-11pm) and 2 months of "follow-up" on their WeChat support group. 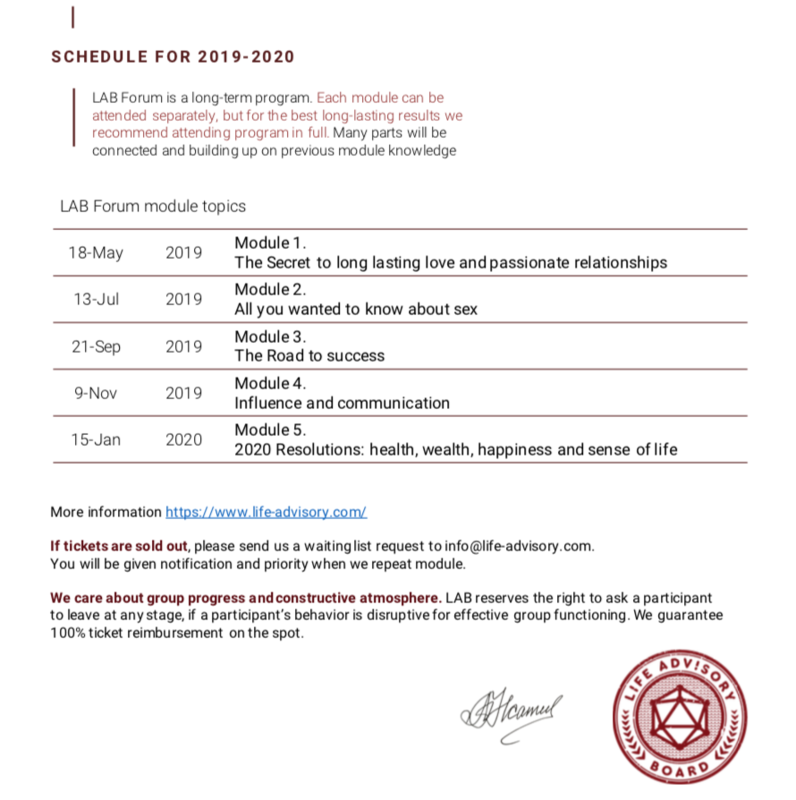 It's limited to twelve spots. 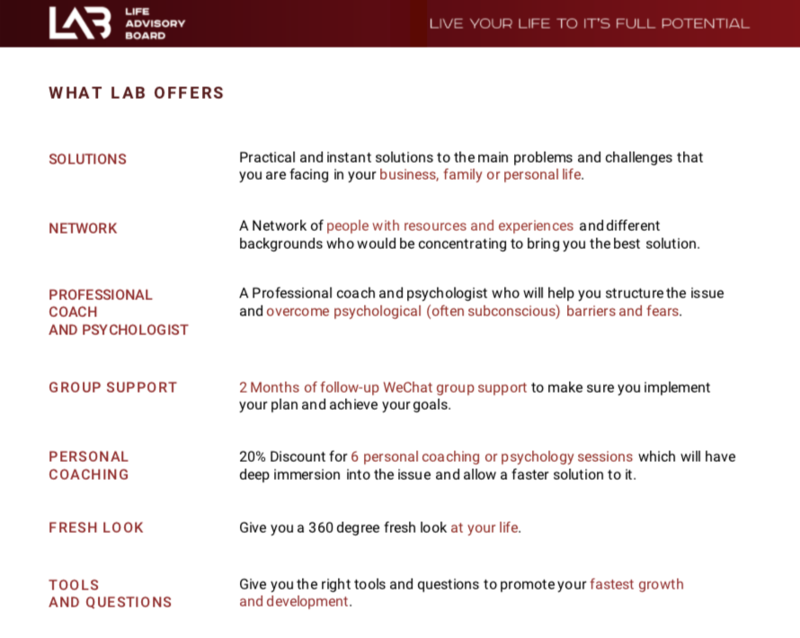 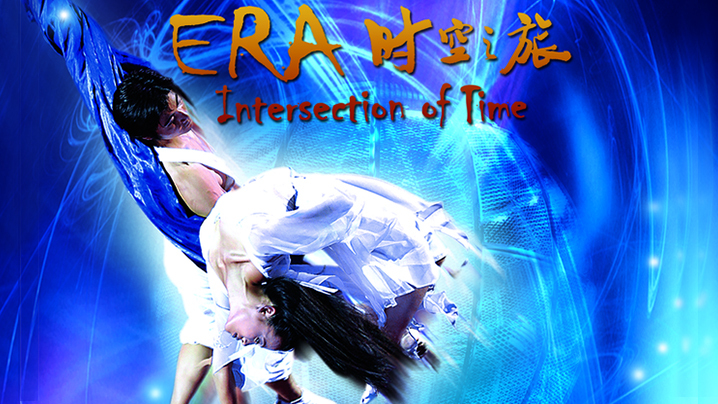 There's a 25% discount for 5 personal or couple sessions.